Things have been moving right along with the room, and I was hopeful I might even have it 'done' by the end of the weekend, but there's still some more finishing touches that are a little time consuming. But, it is really feeling light, bright, fun and more organized! I finished the skirt for my sewing table. My utility table that I got at Big Lots a couple years ago for $19.99. Not very pretty. Ugly legs and trash bin are hidden! The fabric I used was a Robert Kaufman. It's called Hints of Prints. It's really sweet, and reminds me of something from the 40's or 50's. It was relatively simple to make. I measured the drop from the edge of the table to the floor, and then around the edge of the table for the width and doubled it for a fuller look. 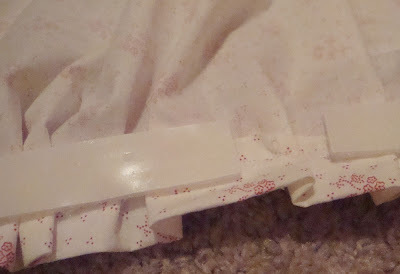 For the floor-side seam, I used my Heat N Bond tape. It gives a nice, crisp edge to it; plus it helped speed up the project since it's an iron on tape. I sewed the top edge seam. I didn't use the Heat N Bond tape for the top because it would have been too bulky and heavy for the ruffled edge and the ball fringe. I ran a long basting stitch to give me the ruffle. 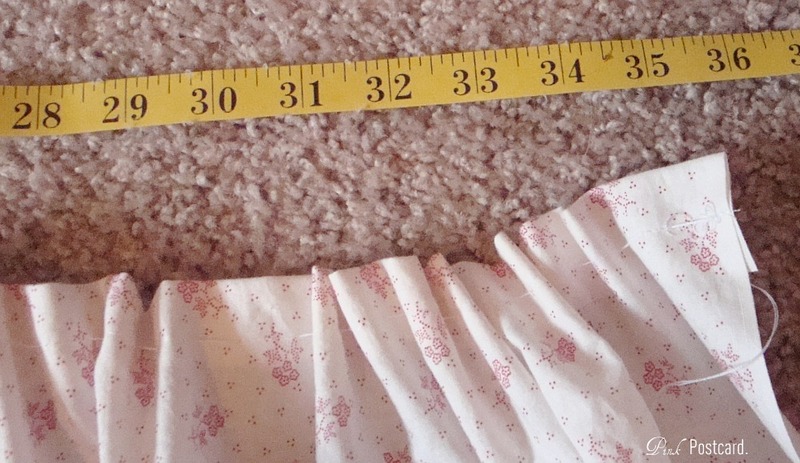 I needed 36" in length, so I measured and pulled the thread and fabric accordingly. 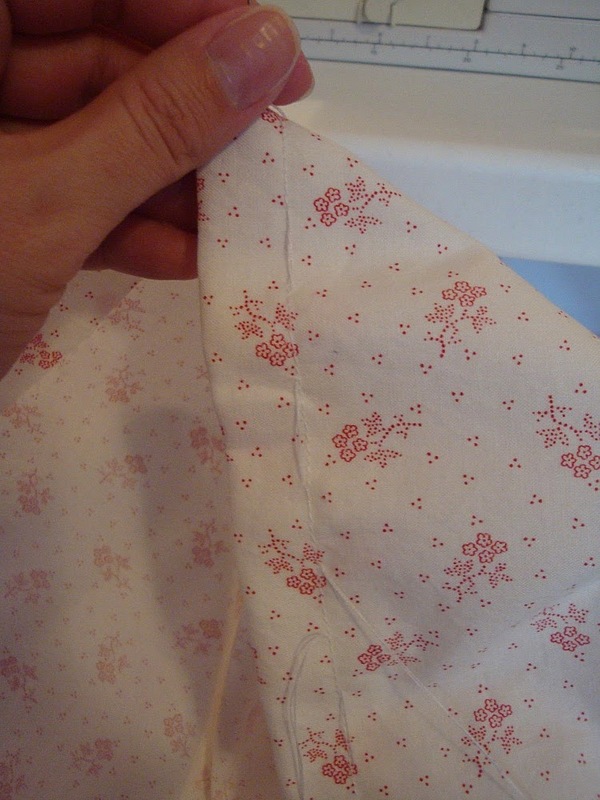 Then I sewed the ruffled fabric into place and pinned and sewed the ball fringe to the edge. Once that was done, I just used some sticky back Velcro tape and pressed both sides together. I stuck the whole thing right onto the edge of the table. And you may remember my teaser about the gun rack. 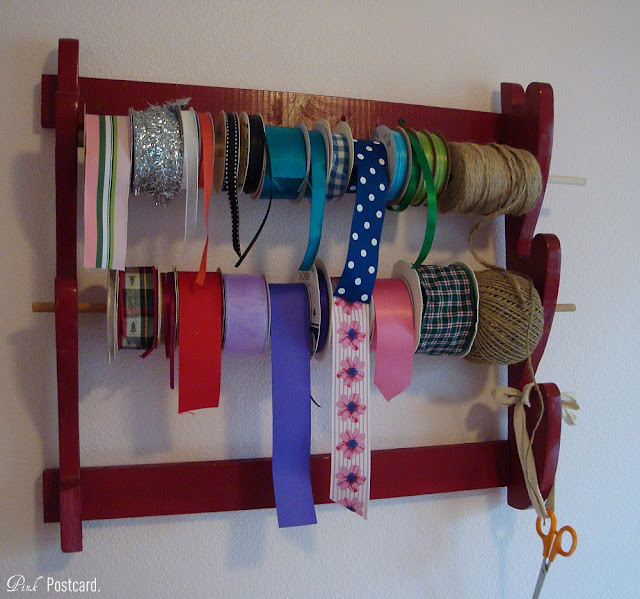 I saw a fabulous idea for a ribbon organizer on Sassy Sites! and I knew I had to be on the lookout for a gun rack / ribbon organizer of my own! As I said last week, I picked up this guy for $3.99. Here's my new ribbon rack! I love it! Thanks Marni for sharing your fantastic idea!! I had a couple differences with my project. As I was getting ready to paint it, I noticed that the slots weren't level. No biggie, I thought, I'm drilling holes anyway. The drill bit and the rack didn't play nice together and about the time the bit was supposed to go through it snapped off the rack. GRRRRR!!!! I had to glue it back on, add wood filler to a couple gaps and repaint it. It's functional, and it will do the job, but I hope next time (or if I need to find a bigger rack for more spools in the future) that the drill bit and rack will get along better. When I bought the piece, the bottom left rack was already broken off, so I used the one side to hang some scissors to cut the ribbon. Despite my troubles with it, I love having these out and in a more usable fashion! If you plan on making one, a 3/8" dowel accommodates most ribbon spool holes. I think it will be funny to see all of us crafty girls clamoring for gun racks at the Goodwill's around the nation! I hope to show them to you tomorrow, and my new tool pegboard! When I saw the teaser about the gun rack - I immediately knew what you were going to use it for. Now I'm on the hunt for one! Thanks for thinking of it. It's a great idea. I think I'll paint mine creamy white. and do some decoupage on the sides. Looks really wonderful!!! Happy Monday!! I will never look at a gun rack the same way again - genius idea! I just love your sewing/craft room. Your skirt turned out darling! It really pairs well with the print you have above. Great idea on the gun rack. How clever is that? Everything looks so organized. I bet it's a lot more fun to sew in there, now. I'm making a sewing/craft/sitting room in our sun room. Great minds think alike, because I'm putting a skirt on the sewing table too. Hope to share later this week. Always enjoy my visits! Hope you have a great day! It's coming along so nicely- wish I had a craft room! 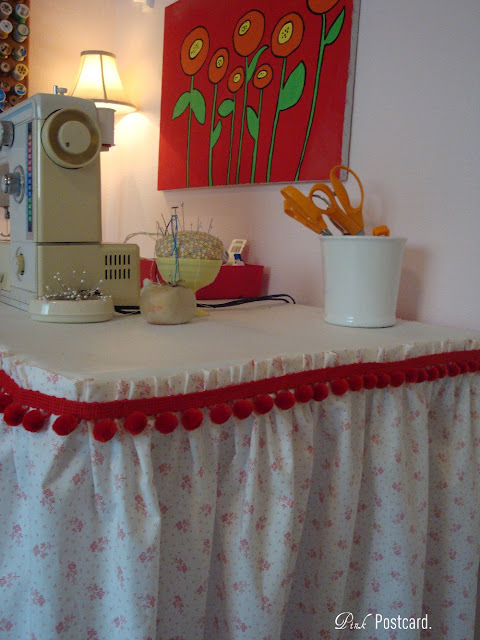 The skirt you made for the table is really cute and I love the pom pom fringe - so fun! Who would have thought to use a gun rack for a ribbon holder? I'm so glad you shared your idea. I came to your blog via BNOTP. Love the ribbon rack!! Such a great idea! And your room is going to be fabulous!! It is looking so wonderful Denise, I love how you covered the table with the pretty skirt! I adore the scissors that are on your wall too! 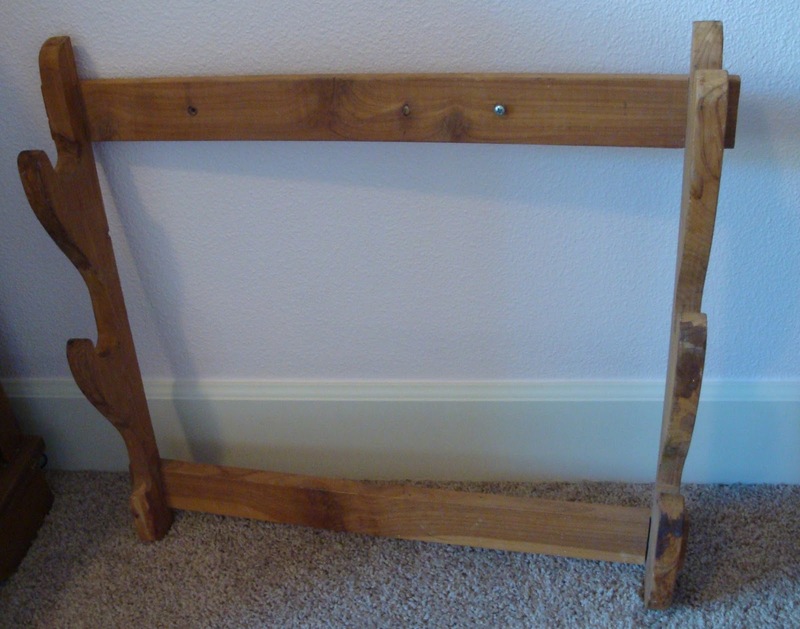 :) What a great idea for the gun rack! I can't wait to see your curtains. Looks like a great place to create! I love how you hid the legs etc. 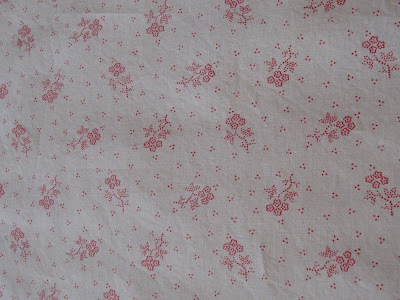 of your table with pretty fabric. This looks so cute! I found you from Keeping it Simple. I love that little red trim around the table. I remember my mom having a bunch of that same kind of trim. Great memories. Great ideas for your ribbon too. 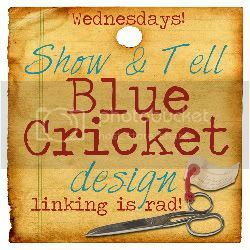 I would love if you could link this up to my Organizng Mission Monday link party. Love what you did! A gun rack...get out...now that is upcycling at it's finest!!!! Your table skirt is so sweet! Thanks for using the gun rack for this! Your ribbon organizer turned out great!! I love RED!! Sorry you had a few snags in the process, but I think it turned out great! What a fabulous idea to hang scissors from the bottom. Thanks for mentioning Sassy Sites!! xoxo! The pompoms on the skirt are super cute! And I should ask my husband if he's got a gun rack hidden around here somewhere... Great idea! Love what you have done in your space. 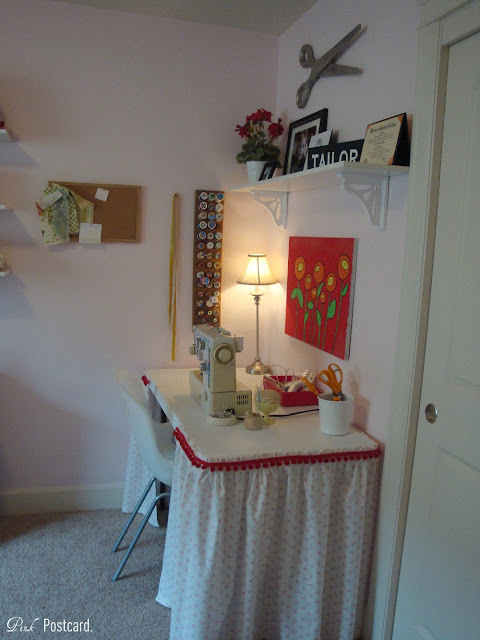 I wish I had a craft room like this...so cute! Love the fabric and pom-poms! You have a great eye to detail. love this. All of it. 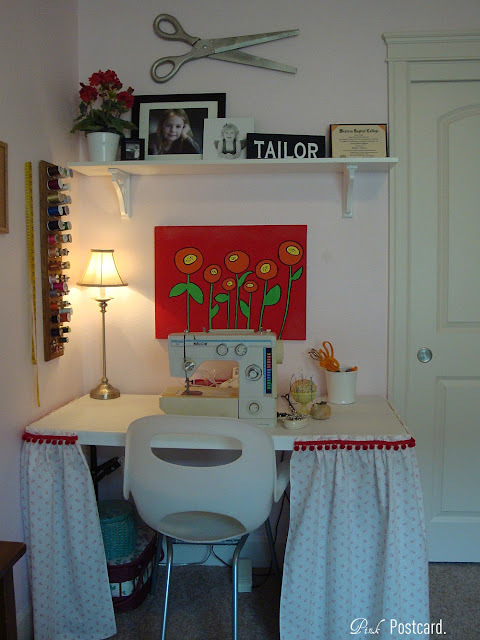 I am also drawn to the artwork above your sewing table. Thanks for sharing on Motivated Monday at BeColorful. I will be featuring it this week. I wanted to let you know that I am going to feature you tomorrow on my Organizing Mission Monday link party. Please stop by and pick up the "I'm Proud To be Featured on Organizing Monday" button! Found you via Somewhat Simple. 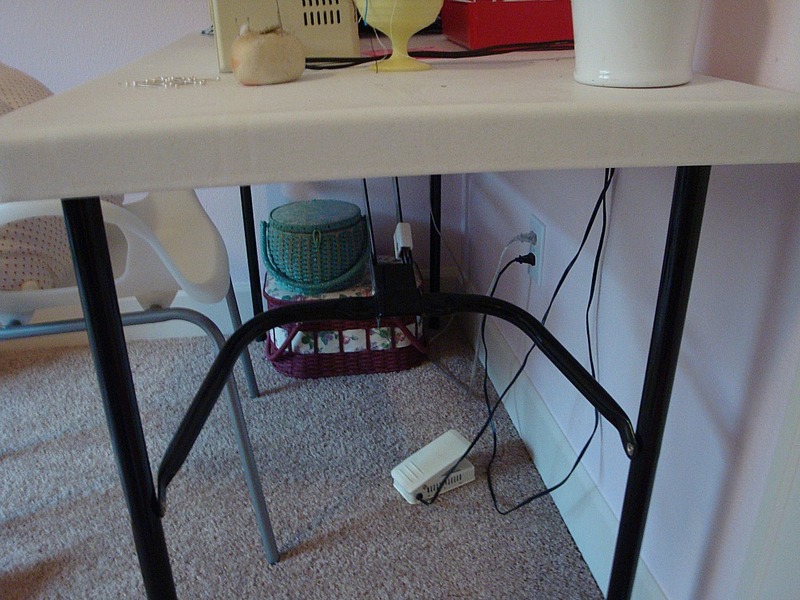 I think I'd be very content and happy sewing in that space :) Congrats on a job well done. Love, love, love your giant scissors! The gun rack repurpose is genius! Something like that would perfectly for me when I wrap etsy items to ship. 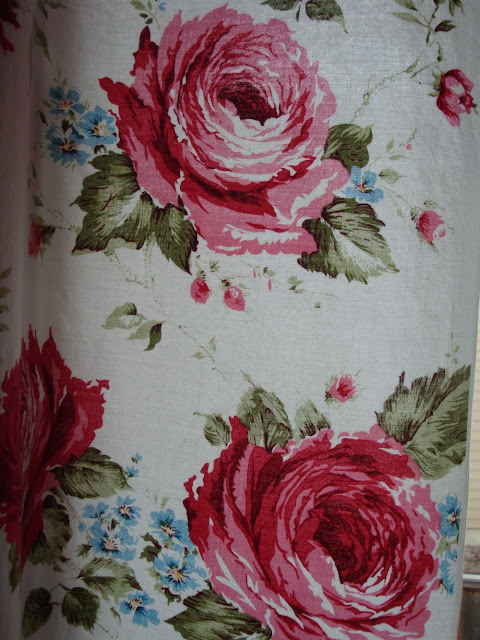 And I'm definitely loving that pink rose fabric! is it vintage? Very cut work space. Love the painting over the table, just darling. I am visiting from Happy Happy Housewife and am now your newest follower. Stop by my place when you have some time. You amaze me! I WISH I was crafty like this! Nicely done! The gun rack doesn't have any sign that guns used to hang there. Very natural, it's like custom made for your ribbons. And the sewing table skirt, it's so cute! The rooms looks alive with the color.